Dan started his career in 2000 and helped form Strategies Financial Group in 2004. His years of financial experience have allowed him to counsel individuals, families, and business owners in several areas of financial planning, along with estate and business transition planning. In addition, Dan works with numerous businesses in the West Michigan area helping with all ranges of employee benefits. Dan is a graduate of Western Michigan University with a Bachelor of Science degree in Finance and Statistics. Dan enjoys spending time with his family. He and his wife Susie are blessed with four sons. Dan also enjoys being involved in the community. 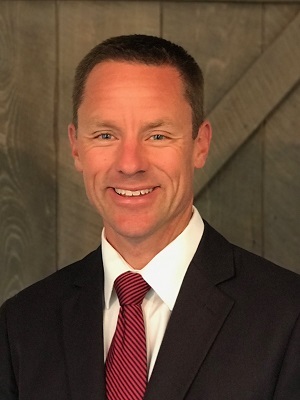 He has served and currently serves on several Executive Boards in the area including; The Leukemia & Lymphoma Society®, The Grand Rapids Southeast YMCA, Mayflower Congregational Church Membership Committee, Ada Bible Church Benevolence Committee. Since 2009, Dan has also been active in the Leukemia & Lymphoma Society's Team In Training® program on an annual basis, by participating in endurance sport events while raising funds and awareness for blood cancer. In 2016, Dan founded the Dream Team benefiting Make-A-Wish of Michigan - a team of volunteers participating in triathlons, marathons, etc. while raising funds for The Make-A-Wish foundation. It is a passion of his to help grant wishes for local children that are battling life-threatening illnesses. To find out more, please visit www.dreamteammaw.org or email dan@dreamteammaw.org.